Moscow Dance Summer School "TSEH" 18.07 - 6.08 2005. Daria Buzovkina is a dancer, choreographer and teacher based in Moscow. Daria started dancing at the age of 6 in "the Pioneers Palace" in Moscow. She studied dance at the dance studio of the house of Culture ZIL, at Sretenka dance school and at Moscow Ballet Academy (1993-1998). Being the student of the ballet academy Daria performed in the play "More Van Gogh" in Moscow Tabakov theater. After graduation she worked in the State Kremlin Ballet for 6 months. She joined Sasha Pepelyaev's "Kinetic" in 1999. Untill 2004 Daria participated in all group's perfomances. Her own original works were used in the perfomances "One Second Hand","The list of illusion", "Qu'est qu'une ulve? ", "Not There", "There, where jasmin never stops blossoming" and "The Nest of Choou". She participated in the project of young independent choreografers and worked with the company "P.O.V.S.TANZE" in Moscow (2000). She took classes of Maria Malony, Viky Shick, Tiffany Mills, Andrey Andrianov (composition), Yana Tumina Axe-theater)-(laboratory), Marika Hedemyr (Laban-composition), Fiona Millwards, Fin Walker, Lisa Rice, David Zombrano, Vim Vandekeybus, Alexander Pepelyaev (composition), Lisa Torun, Jenifer Nudgent, Bruno Chassray, etc. Since 2000 she has been teaching contemporary dance in the Moscow Shamber Ballet. Her own works include solo works "Just..." (premiere-05/05/01) and "Itself" (premiere-04/06/02), a trio "Thirdly" for Chamber Moscow ballet (premiere-18/03/02), "Best Before" (premiere-15/12/02);duo "Always as now" with dancer Eugenia Yakimova and "Snow maiden"(15/03/2004)with dancer Taras Burnashev from "P.O.V.S.TANZE", "All the best!" for studio of contemporary dance "Dance M" (Krasnoyarsk/Russia)-premiere-06/04/04. "My class has been built up on the base of contemporary, modern and release workshops' experience, as well as broad stage practice including work in the Kremlin ballet for 9 years, in Sasha Pepelyaev's Kinetic for 9 year and 6-year teaching; and as a result of my own exploration and research. The main emphasize is directed to design the relationships between mind and body, quest for an effective and efficient use of the body energy and search for an authentic and personalized movement "unit". The body-awareness approach is applied while examining dynamic alignment of the body structures, articulation of different body's parts, the sense of volume of body's inner space, dynamic traveling and centre-periphery ideas. The lesson includes simple exercises which can serve as a platform for practicing principals of any dance styles. Those will be followed by more complicated dance phrases where such principles as reason and circumstance, fall and balance, pace, inertion, weight and coordination of jump will be persuaded." "Flow Low and in Contact"
Born in 1972 in St.Petersburg. She has graduated the Theatre Academy in St.Petersburg and magistrate for directing and actor teaching. She works as a theatre teacher in the same Academy and as actress in theatre AKHE. She takes part in all works of the group since 1996 and helps with connecting her classical experience with AKHE's experimental forms and adapts the group's ideas to dramatic directions. Jana, like Pavel Semtchenko, works also with different groups as an actress, theatre teacher, director. Working from the inside out, class begins with a continuous, thorough warm-up. Focus is on releasing, directing, and articulating the body. Attention is on the organs, skeleton, and muscles, bringing awareness to a three dimensional body. This is followed by learning, interpreting, and adding on to a dance phrase, composed of both expected and unexpected coordinations, attention to gesture, details, and the use of the entire space and floor. Compostion: This dance making process will begin with movement, working with a physical stream of consciousness, developing one's own physical language, and looking at movement. From here, we will see how this translates into form, theatrical ideas, themes, emotion, and a choreographic structure. Jodi Melnick graduated from SUNY Purchase with a BFA in Dance. She has been a featured dancer with Twyla Tharp, and Irene Hultman. Currently, she performs and works with Susan Rethorst, Sara Rudner, and Vicky Shick, and over the past 13 years, has worked with NYC based freelance choreographers Tere O'connor, Dennis O'connor, Donna Uchizono, Yoshiko Chuma, and Yves Musard. 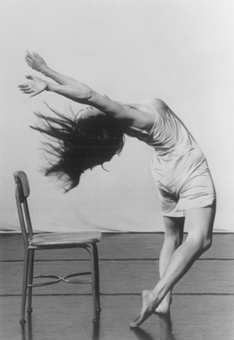 2002, she began working with Trisha Brown as an assistant director on Schubert's 'Winterriese', continues to re-stage the work, and has appeared as a guest performer in the Trisha Brown company. As a teacher, Jodi has taught master classes, technique, and workshops throughout the US, Europe, Australia, Russia, and Asia. Her gift as a teacher has been to translate movement into a format accessible to all bodies and all disciplines. Her choreography has been shown in NYC, Japan, Ireland, Estonia, and Russia. Her most recent work, spring 2003, a solo commissioned by Jenny Roche and Temple Bar Properties, Dublin. Ireland, and, September 2004, a duet for Roche and Nicola Curry, Belfast. This fall, 2005, Ms. Melnick will present her work at Dance Theater Workshop, NYC. Fall 2003, Graz, Austria, Ms.Melnick was part of a new Opera based on David Lynch's 'Lost Highway', singing (mezzo soprano), again performed in Basel Switzerland, Spring 2004. In 2001, she was honored with a Bessie award for sustained achievement in dance. Jazz: A class that works through the fundamentals of jazz technique and vocabulary, emphasizing the basic positions and the use of contraction to build strength. From there J.T's teaching philosophy is the same whether he is teaching Jazz or Jazz/Funk; a desire to show students how to bring out the feeling in the choreography! Music ranges from the musical styles of the 30's and 40's to the present day. J.T's Jazz/Funk class combines classical and stylized jazz vocabulary with Hip-Hop in combinations that allow the dancer again to connect to the feeling of both the music and the choreography. J.T trained as a musician, in piano and trumpet; he studied with Joe Benjamin who played with Duke Ellington. As a dancer he trained in jazz dance technique with Phil Black and William Chaison and in modern with Joan Palladino. J.T's has developed a choreographic movement vocabulary that combines classical and stylized jazz, modern, tap, punk/hip hop. He choreographs in feature films, music videos, industrials and for recording artist's concert tours. He choreographed the feature House Party directed by the Hudlin brothers and has worked with Prince, Salt N Pepa, Chaka Kahn, Cyndi Lauper, the Time, Color Me Badd and many others. He attributes his success in staging movement for musicians which doesn't detract from their playing for live concert performances to his own background as a musician. He has choreographed concert pieces for Ohio State University Dance Theater, the Bolles Dance Company, Princeton University Dance Theatre and Kean Dance Theatre. (focusing on Patterns of Total Body Connectivity (PTBCs) Train for virtuosity. Heal chronic injury. Move intelligently. PTBCs are the basic building blocks of efficient movement. They are based on developmental movement patterns and closely related to Body-Mind CenteringR principles (BMC's originator Bonnie Bainbridge Cohen studied with Irmgard Bartenieff). When you explore your own internal connections, you improve both function and expression. Accessing your deep core support increases strength, range, and freedom of movement. Learn to develop your core strength without becoming rigid or tense. This workshop uses hands-on techniques, guided movement exploration, and anatomical imagery to explore functional body alignment and efficient movement pathways. Connect more deeply within yourself - realize your movement potential. Based on Laban Movement Analysis / Bartenieff Fundamentals Learn to get in and out of the floor with grace and power. Experience fluid and dynamic movement that nourishes your body and helps you find internal pathways for clear, expressive, and powerful movement. Learn to go off balance with clarity and freedom. We will work with harmonic internal connections, rather than external forms, so that new movement is easier to learn and more personally meaningful. We will explore movement's expressive subtleties to aid you in finding your unique interpretive style, so you can dance fully from your whole being.
. Performers, increase your expressive and technical range.
.	Improvisors, expand your movement vocabulary.
. Choreographers and Directors, clarify your intention so you can communicate with precision to your audience and to your dancers in rehearsal.
.	Therapists, hone your observation skills. Laban Movement Analysis (LMA) is a comprehensive system for observing and describing all human movement. Its development in the early 20th century raised the status of dance as an art form and inspired great movement artists (Marie Wigman and Kurt Joos were early students and collaborators of Laban). LMA continues to evolve today and to be used by the world's great choreographers (including Pina Bausch and William Forsythe). In this workshop we will use games, toys and non-stop experiential learning to explore and embody the vast range of human movement potential. We will build and play inside geometric structures, animating the geometry of movement. We will identify our movement preferences / movement signatures and explore new possibilities. We will explore psycho-physical (mind-body) connections inherent in bodily movement. Enrich your experience of moving - come ready to move and play. Hilary Bryan returns to Tseh after enjoying popular classes in Tseh's 2002 Summer School. Both new and returning students are invited to repeat one or both BF classes this summer to deepen their understanding of this profound work. Internationally acclaimed performer and choreographer Hilary Bryan, CMA, is certified in Laban Movement Analysis (LMA) by the Laban/Bartenieff Institute of Movement Studies, New York. She teaches LMA at University of California Davis, California State University Hayward, and in the Integrated Movement Studies LMA certification programs, working closely with Peggy Hackney and Janice Meaden. Ms. Bryan also teaches dance and body alignment classes at studios throughout the SF Bay Area and internationally, with past engagements at the University of California Berkeley, Oakland Ballet, and festivals in Saint Petersburg, Moscow, and New Zealand. Ms. Bryan co-directs Frank and Bryan Worldwide Movers whose choreography has been critically acclaimed internationally. Their "poignant" and "unpretentious" work was named Critics' Choice by the SF Bay Guardian (8/14/96). 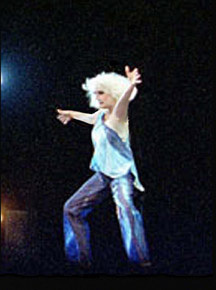 New Zealand critics lauded Ms. Bryan's work as "satisfying texturally," praising her "strong technique and acting skills"(The Dominion 3/10/97), and the Los Angeles Times was moved by "her exceptional force and clarity" (8/6/01). A Wisconsin native who trained in ballet and creative movement from the age of three, Ms. Bryan has performed extensively on Taiwan with Dance Forum Taipei, Ming-Shen Ku, and Fu-Lann Tao as well as domestically with Charles Moulton, Deborah Slater, June Watanabe, Dandelion Dancetheater, Mobius Ensemble, and Pearl Ubungen. Ms. Bryan earned her B.A. in Russian, history, and mathematics from Smith College and was awarded the prestigious International Educational Exchange grant for independent academic research in the Soviet Union (one full year of funding). Ms. Bryan is also a founder and director of The Body at Work, an ergonomics consultancy, training individuals and corporate clients to move more efficiently and safely at work. We will begin using pictures and partnerwork to explore skeletal connections. This will lead into a warm up using form, breath and visualisation to refine our awareness of the body structure in motion and open pathways of energy through the body. We will then move on to the exploration of set material focusing on clarifying awareness of movement through the body and into space, and to playing with weight shifts, quality, detail and timing. The aim is to go beyond the learning of material to the dancing of it ! 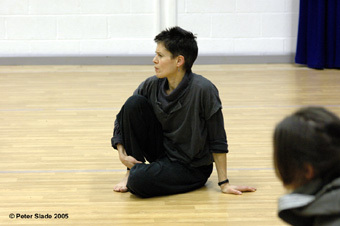 Gill's teaching has been influenced by study of Alexander and Feldenkrais techniques, and her own researches into the integrated and energetic structure of the moving body. 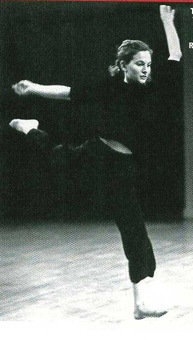 Gill Clarke was a founder member of the Siobhan Davies Dance Company whom she joined in 1988, and has also performed and collaborated with other choreographers including Rosemary Butcher, Rosemary Lee and Janet Smith. Recent choreographic projects have included a site-specific installation for Tate St Ives, ongoing work with Gandini Juggling Project, and a music/dance collaboration with members of the Royal Ballet. Gill is a regular teacher of students, professional artists, companies internationally. Visits have included Tanz Werkstatt Europa, Munich; National School for Contemporary Dance - Copenhagen; Rosas - Brussels; Rambert Dance Company, Ricochet Dance Productions - London, Movement Research - New York. Gill was Head of Performance Studies at Laban - London 2000-2005, has a fellowship from the National Endowment for Science,Technology and the Arts and is Co-director of Independent Dance - a professional development organisation. This process will be followed by the second part, which will be the most performative part, as we will perform our movement structure over and over again in all agreed versions. Through repetition, I expect that non-agreed possibilities will come through. This surplus arrives similar to a river that shapes its riverbed through the repetition, through the time. Working title of the second part is Spring Water. The last part of the workshop will summarise both processes, Gatherers and Spring Water. Parallel to this process, we will work with music as a dialogue between movement and sound, which I work a lot with in my creations. The work with music will be introduced already earlier in the workshop but in the last part the depth will be the greatest. The last part is called Weavers, and will result with a peculiar tapestry that we will weave together throughout the three-week work. Each part will take approximately one week but it's difficult to say as it depends on participants; how will material be received, how much time will take to diagest the proposed theme etc. However, the outline is one week per one part. According to that will develope also the technique class. Still, technique class will be a more constant component than the creative workshop. 1.	use of the floor in order to rise/lower and fall and in order to travel through the space. 2.	tension/ release in a body during the motion. That will lead us to the work with dynamics of the movement. 3. push and pull, which will be mainly working in pairs. Throughout the class the idea is presented, developed, manipulated. Sometimes we will also frame the movement idea we work with and thus we result in a fixed sequence of movements that every participant can do in unison with the others. As we start from a point of improvising with a theme and then arrive to a common ground of a fixed phrase, one's habits are challenged. This is a very important experience for every dancer in order to expand their movement vocabulary. After we reach that point we will go into the other direction of individualising the common fixed phrase. This is a process where every participant treats the fixed material as a basic score and then draws the individual manipulation of the material. Thus one ends up with a new sequence of movement unique to each participant. May-June 2002- directed and choreographed trio Rebeka. 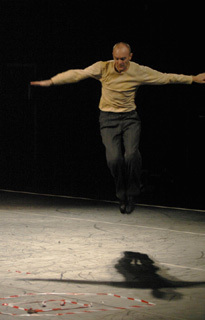 The rework of performance was in February 2005 with Christopher Benstead and Tomaѕ Lapajne. -April 2000-Spetember 2004, choreographed and performed with musician John Sweeney for short site specific performances. Teaching experience: -Since September 2000-teaching at Arts High School- contemporary dance technique and creative workshop. -March-April 2002, teaching within intensive contemporary dance course with Charles Linehan Company, St.Petersbug, Ekaterinburg, March 2002, Lisbon CCB, April 2002; -since 2001, teaching open classes in Dance Studio Intakt Ljubljana, ZKO Kranj and Plesna Izba Maribor,(contemporary dance techniques and creative workshops). -June 2001-teaching creative workshop at The Place, London; -March 2004, teaching contemporary technique in Toronto, Canada, and creative workshop in Philadelphia, USA. -April 2004, teaching workshop in Agon education programme in Ljubljana; -Spetember 2004, teaching at the Edge postgraduate performance group at London Contemporary Dance School. -February 2003, leading creative workshop within Gibanica festival in Ljubljana. This course will be physically rather tiring and demands good physical skill. Bring comfortable shoes and knee protectors. "My intention is to suggest principles and devices I developed in the last 10 years. Since my movement origin lies in sports, my work is all about communication: "How do the people interact?" I want to create the atmosphere where every individual depends on the collective, while only her/his technical and creative input results as a group quality. Within the team everyone has enough space and all my support to define and develop his/her own stage presence and spontaneity/freedom. But of course first the rules of the game and collective alertness should be mastered! The composition part will focus on two basic, opposite proportional choreographic devices used in most of the En-Knap performances: 3Q and Open Parts." 3Q is a choreographic instrument invented by Iztok Kovaи, defined as a system of structured coincidence/chance. It is based on pre-determination of three motions of different expressive qualities. The group of dancers consists of a leader of the sequence (who in time-limited units and optional proportions switches from one to another pre-determined motion) and other dancers (who react to the leader's performance using three options, which are pre-chosen by throwing the dice). These three options are limited to stop, copying of leader's motion, or performing a contra-action, which they can either improvise or fix by another throwing of the dice. The role of the chief is passed on to another performer via a simple verbal exchange. The rest of the performers, the so-called tribe act as a rhythmic and ambiental support to the program designated by the chief. They can decide between four modes of movement: shadowing/copy, stop/freeze, cut-up and grouping. Suitable for musicians and actors as well. Iztok Kovaи, solo dancer, choreographer and the founder of En-Knap, an international dance company based in Slovenia, has one of those creative energies which has enabled him, starting from nothing, to bring Slovene contemporary dance onto the European and world stages. Kovaи's feature is an exceptionally wide dance-movement repertoire, ranging from the experience of standard dances, jazz ballet, Eastern movement techniques and sports to more sophisticated dance techniques, which are found in the international network of contemporary dance groups, schools and workshops. There are various constants (his home town Trbovlje and its mine workers tradition, commitment to collectivity, body discipline, body limits and freedom) and variables (different musical paradigms, choreographic and improvisational strategies and core themes) present in his work. He made the international dance scene stand up and take notice with his solo How I Caught a Falcon, which jumpstarted his career and earned him the TimeOut London Dance and Performance Award in 1993. That same year, this award for visiting artists was also given to Merce Cunningham and Ron Vawter. In 1993, under the wings of the Klapstuk festival in Belgium, he founded the international dance group En-Knap. He later returned to Slovenia and established EN-KNAP Dance Company. In the 11 years of the company's activity, Kovaи has undoubtedly established En-Knap's unike trademark aesthetics inside the European space. He has staged his ten evening length performances (Spread your wings (You clumsy Elephant), Sting and String, Far from Sleeping Dogs, Codes of Cobra, MoTenTion/Kaktus Unter Strom, The Perfect Step?, Hu Die, Throw of the Dice, S.K.I.N., and MOZART - hype as I wanna be_) and screened four award-winning short films (Narava Beso, Vertigo Bird, Dom Svobode, Taming the Time) in over 75 cities throughout Europe, as well as in the United States, Australia, Asia, South America and the Middle East. New Dance Technique, with its roots in Modern Dance, incorporating Release Technique, it attunes us to the natural physical forces so as gravity and momentum. We develop a sense of grounding, to than play with balance/off balance, central/peripheral movement and maximise the potential of the natural body movement. The methods of Body-Mind CenteringR enhance kinaesthetic awareness and a keen sense for where movement originates. Differentiating the various body-systems (Bones, organs, muscles etc.) and integrating developmental patterns, we find specificity in movement quality and support for movement. Elements of the Somatic Movement Approach inform us on dynamic anatomy to find our natural alignment, increasing ease, flow and efficiency within moving. Beginning with a deepening floor work, the class will proceed into dynamic phrase work across the space. Attuned with the breath we move within the tides of our internal rhythms, enjoying the inner and outer space. The somatic approach leads us to a deep place of integration. Consciousness and freedom within the body, variety of movement expression and clarity of presence are the themes of this course given by Jordis Jakubczick. It will introduce into the methods of Somatic Movement coaching as they are taught at the Institute for Somatic Movement Studies. Facilitating individual process of transformation and creativity. Through the study of living anatomy, guided imagery, Hands-On exercises with partners and individual movement exploration we discover the natural internal movement of our body. Hereby our inherent body-intelligence unfolds and individual creativity arises, which will lead into dance improvisations. In this course we will explore the inner rhythms of specifically the arterial + venous blood, the cellular + intercellular fluid, the Lymph and Cerebral Spinal fluid. Each fluid has its fascinating way to be expressed within movement in a specific movement quality, which again underlies the performance presence. By experiencing the various movement-qualities our range of movement vocabulary is extended and our presence is clearly defined.
. Dancers and movers who wish to in deepen their physical consciousness and embody new movement possibilities.
. Anybody in the creative movement field who wants to know more about the Institute for Somatic Movement Studies and apply its methods into their work approach. Jakubczick has been professionally trained in modern dance technique (Cunningham, Graham, Muller) and ballet as well as in release and improvisation techniques since 1986. In the early 90's she studied with Bonnie Bainbridge Cohen and was certified as BMC practitioner in'94 in Amherst/USA. During her training as Performance artist at the School for New Dance Development in Amsterdam (1991-1994), she integrated the methods of Somatic Movement into the means of Choreography and performed her own work for the last 14 years in Europe and the USA. She is a staff member at the ISMS and teaches at the School for New Dance Development at tha AHK in Amsterdam. She is registered as Somatic Movement Educator and Therapist with ISMETA and is maintaining a private praxis, specialising in injury care and prevention for dancers and other movement artists. We can classify the paradigm of performance ( dance performances indeed ) through the class of elements with similarities such as systems, structures, styles which ingenerally remain the same but more probably constantly reconstructed and confirmed. Through individual factors the biger differences come out and vary, such as ideas, material, artictic approach, perceptions, individual approach, context, reference - and according to choreography the particular body, form and quality of movement - and there can be lots of possibilities more. This improvisation and composition work-shop is motivted from overall question - how to deal with process in order to work with paradigm of performance. I realy on my experience and knowledge, also some theoretical material I have read up to work on some ideas I've been focused on recent times. How to work more efficiently, how to materialize our ideas more enunciate ways as the process has an equivalent influence to the final product and therefore also the working methods are constantly calling for reconcideration and confirmation. The work-shop's main theme is to observe aswell as put in practice process of perception and reproduction, to be more percise the phenomenon of image or productive image. Focusing on the phenomenon of imagery is important to do a difference that image is not connected only with simple methaphor. We see imagery, we reproduce them, we keep them in our memorys - envisioning is whatsoever except the direct product of imagination. We can say that using co-operationally the real and irreal functions of imagery we can activate our actions. These are the questions what intrests me - to activate productive imagination as operating possibility in order to increase awareness how we work with our ideas. How to be closer to pure sublimation. As Jean-Paul Richter writes: " Reproducive imagination is prose of producive imagination." There would be presented collected tools as a starting point/s and what I would call tasks. They would be used by means of games logic, building structures, just to name some of them. In order to not spill over by the varietys of different possibilitys it's relevant to rely on some parameters. To name some aspects we focus on; parameters as space, relation, movement, also observaton, interpretaion, manipulation, description, material and etc. Ibidem maintaining the objectivity to the task aswell as input of subjective interpretation. Also to use methods like observation, interpretation, mediation and develop action and relations through ones own inerpretation and etc. Further explanations will follow underway in process of work. Last days of the work-shop we would finish our working day with a longer session in order to use all previously practiced ideas, systems and structures in imporvisation in this very basic meaning - without imagining actions forehand. 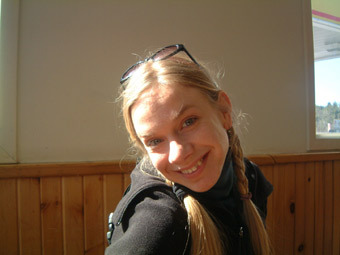 Katrin Essenson, ( born in 1973 ) has been creating dance performances since 1998. She graduate from the Tallinn Pedagogical University choreography department and at the moment studies Interdisciplinary Arts in the Estonian Academy of Arts. 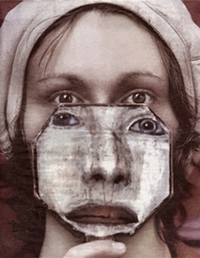 In 1999-2000 she worked with Sasha Pepelyaev Kinethic Theatre (APART) in Russia. In January 2000 was founded creative union S.P.A. by Taavet Jansen and Katrin Essenson, this is meant to be a creative and concentrated and collaborative field for artists from different art fields. S.P.A. has also done co-operational productions with Kanuti Gildi SAAL/2.tants, United Dancers of ZUGA, Plastik Studio, artist group WILHELM GROENER etc. Since 2000 working as a freelancer choreographer-dancer-teacher. Her works have been performed at various dance festivals in Estonia, Germany, Poland, Netherlands, Sweden, France and etc. Maida Withers (USA), dancer, choreographer, videographer, and teacher, is the founder and artistic director of Maida Withers Dance Construction Company (1974). Maida teaches advanced post modern dance technique, choreography, improvisation, and trends in performance art as a professor of dance at The George Washington University in Washington, DC where she has directed the MFA graduate dance program in choreography and performance. Maida, a powerful and commanding performer, has created a significant and distinctive body of work for her company, over 75 dances of breadth and vision involving a process of experimentation, innovation and collaboration. Withers movements are released, nuanced, dynamic through space, with originality and clarity in form. Her works reveal an ongoing interest in juxtaposing dance and technology. She has created works with rotating loudspeakers, laser beams, wireless cameras, and video installations - always with "live" music. Withers has initiated and directed several large-scale new media projects, collaborating with visual and performing artists, scientists, anthropologists, and others. Withers has toured extensively internationally engaging in various projects in such diverse places as Guatemala, France, The Netherlands, Japan, China, Hong Kong, Korea, Brazil, Finland, Venezuela, Mexico, Germany, and others. Withers began touring and teaching in Russia in 1997 at the Volgograd Festival and has been back to Russia for residencies and touring in St. Petersburg at Open Look (2000, 2003), Arkhangelsk, TOUCH (2003, 2004), Art Angar in Solovki (2004), "Isadora" Festival in Krasnoyarsk (2005), and others. Her dance video works have been shown at the IMZ in Austria, at AFI, Kennedy Center for Women in Film, the DC International Film Festival, the DC Environment Film Festival, often as part of her performances, and have won cable television recognition. Maida is the founder and co-curator of the D.C. International Improvisation Festival now in its 11th successful season. As a choreographer I'm not so much focused on the movement research in terms of createing a new way of moving no one has seen before but rather on the meanings of signs what one spacific movement or an act carries in the time-space of the theatre. I'm intrested in how do we perceive what is been performed and what are these factors which influence the way the audience reads the given information. By taking away all unnecessery information we are allowed to see the essence of things or rather what these things might mean in this specific context. Therefore reduction as a method has an importent role in my work. The workshop is devided into two parts. The first part is an intensive warm up based on the mixture of different dance techniques including elements of release, contact improvisation, martial arts and even sport games. The second part is focusing on the composition and on the theatre's semiotics. There the produced material will be analysed, deconstructed and reproduced in different playfull contexts in order to manipulate the hidden codes of the production of choreography. Mart Kangro, choreographer, performer, graduated from the dance department of Tallinn Pedagogical University in 1996. For some years he was member of the ballet company of Estonian National Opera where he created a short piece "Many Things in Life Remain Unseen Anyway" in May 2001. His first solo work "START. Based on a True Story" was premiered in the beginning of 2001 in Von Krahl Theatre, Tallinn. In 2002 START was selected by Aerowaves network to be presented at The Place Theatre in London. In 2002 Mart was invited to take part as a choreographer in Thomas Lehman's "Schreibstьck" which premiered at the Tanz im August festival in Berlin. His collaboration with Thomas Lehmen continued in 2004 when he participated in project called Functionen. 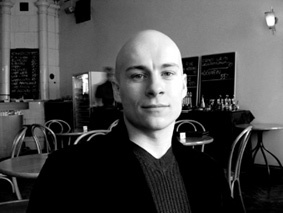 In december 2004 his new piece "Out of Functions" was premiered. Starting point for this performance was tool box "Functionen" by Thomas Lehmen. One year earlier His second solo "Mart on Stage" had premiered in Valancienne, France. He was a leading member of music and dance improvisation group Proimpro. As a dancer he has collaborated with Mai Murdmaa, Charles Linehan, Xavier Le Roy, Thomas Lehmen and others. "I teach a Physical contemporary class inspired by the vocabulary and work of wim vandekeybus, and teachers such as the swedish choreographer kajsa Giertz and "flying low " techniqe of David Zambrano. I dont work so much with a strikt structure, i try to variate the class. mixing floorwork,contact impro and different moving combinations. 2000-2002-Ultima vez, Wim Vandekeybus Brussels Creation, "Scratching the innerfields" worldtour 2001 and revival "What the body does not remember"
2003-2004- Byteatern,Sweden Director Kajsa Giertz Creation, "THe sound of a body" and "Indras ?ra"
2004- Cirkus Cirk?r,Sweden creation 99%unknown. Directors assistant. 2005-Riksteatern, Kajsa Giertz. creation "meningen med livet"
After searching between dance, and theatre I am very much concern in taking the work in to the extreem, the key for that as a performer is in finding a strong connection between body and soul. On the first part we will learn to prepare our body and mind through a release techniq that include floor work, breathing, movement in space and Yoga and on the second part, the dancers will experience the repertoire of my works, and as well I will leed them through improvisation and different kinds of games. The games will be either theatrical either concern with space, time, relations and senses. The main activity will be different from each day, so it will `open` the dancer to a creativity atmosphere. The focus is on the develpment of the `inner voice`, of each one of the dancers and on the strong connection to the body and soul. Ronit Ziv received the prize of the minister of colture and education for the choreographer of the year 2002. Her work `Rose Can`t Wait` won first prize in `Shades in dance` 1999 and at the Jerusalem Academy of dance and music choreography competition. 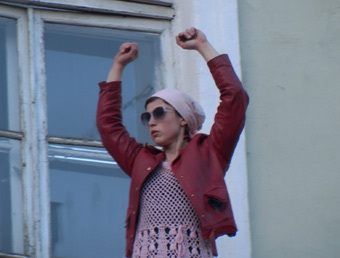 Ronit created for `Bat-Sheva` ensemble, CNDC L`esquisse, Muza dance company, Noa Dar company, `Galilidance` company in Holland and `Instavel` company in Porto: 1999`It will end in tears`, 2000 `Marilins night` 2001 `Undress` 2002 `Botz` 2003 `Handmade`2003 `Steam`. Following the success of `It will end in tears1 she was invited to create a piece for CNDC L`esquisse, Angers, France. The piece `Apres Midi` was presented in France, festival Marsseile and Portugal.Ronits work `Rose can`t wait` was invited to appear with Galilidance company, Holland and in Pina Bausch festival. She performed an evening program with Instavel company at the Rivoli theatre in Porto, Portugal. Following her succes un `Fabbricaeuropa` festival She was invited to perform her evening program `Beauty free- 4 duets` in San-Giminiano festival, Enzimi festival, Bassano festival, Italy. Rose's classes have a strong basis on the use of the body systems (Skeletal/Organs/Fluids/ etc) as for improvisation, composition or technique classes. Through her long experience and contact with different dance techniques (Ballet, Limon, New Dance) and Somatic Movement training (Alexander Technique, Body Mind Centering and Somatic Movement), Rose Akras has developed her own style of teaching. The search for body awareness practices has grown considerably among dancers in the last years, mainly to solve and prevent injuries. But in most cases the experiences of a body insight; are limited to the private session and there is a big chance that the improvement achieved in the session gets lost when the dancer starts moving in class. Rose's teaching is based on the idea of integrating the somatic approaches in the dance classes. Experiencing how to move from the bones or from the organs, can not only prevent injuries but specially improve technique and open up new ways of moving. The class unites principles of new dance, with emphasis on floor work (facilitating the process of going in and out of the floor), and modern dance technique. The class is always adapted to the students needs to more floor work or more standing technique. The basic use of the body systems underlies the class to facilitate movement understanding and execution (for instance, moving from the bones clarifyform and directions in the space). This class is based on the exploration of the Systems of the Body (Skeletal, Fluid, Organic, Nervous, etc) as a way to deepen the body awareness of the dancers and expand their personal movement vocabulary. By exploring anatomy and physiology through action, the participants experiences the movement qualities of bones, organs, fluids, etc. and how this qualities can give support to different dynamics of movement. By working with the principle of refining the perception of the students as movers and observers, this classes can be as useful to dancers as to future teachers and choreographers. The classes are always adapted to the students needs and the material can be more developed towards technique facilitation and observation or more towards a breeding environment for creative processes. Rose Akras was trained in ballet, modern dance (Lim?n Technique) and new dance techniques in Brazil, U.S.A. and Holland. She has been working professionally in the dance field for around 20 years as a dancer, creator and in the last 10 years as a teacher. Between 1995 and 1997 she studied at the School for New Dance Development where she deepened her interests in the integration of somatic work and dance training and creative processes. She took the Certificate Somatic Movement Training at the between 2000 and 2002 at the ISMS, directed by Jacques van Eijden in Amsterdam and is now a current assistent teacher at the training. She has been working as a guest teacher at the Rotterdamse Dansacademie and School for New Dance Development in Holland and is current guest at the Performing Arts Bachelor Course at the PUC University of S. Paulo. Rose Akras travels every year to her native Brazil, teaching at dance schools and professional dance companies around the country. we will try to find the sensation and awareness in working using our skeleton, the use of weight and grounding ourselves to the floor. We will use different images to pass through the information to our bodies. Working with our main pivot paying attention to where the movement begins and where it ends. The first part of the class will take place on the floor and from there we will take it up until the final combination. Momentum, musicality, release, vitality, ingenuity will be among our interests in our meeting. repertoire classLearning excerpts from some of my last works putting an emphasis on presence, clarity and performance. Each meeting will deal with different material trying to challenge the virtuosity of the participants and finding new throughways of looking at dance. The place where physicality and senses meet to create a whole focused imaged. Challenging elements as coordination, speed of movement and finding emotion in each moment. the laboratory This will be our playground where we will use our instincts in order to create fresh moments full of alertness to ourselves and others. This is the place where everything can become both serious and ridiculous, where each individual can check his/her limits and go beyond it. We will meet different tasks and improvise alone or in a group. We will try to talk our thoughts and transfer it to movements, question our decisions while dancing and free the "real us". The ability to create an electric current as an outcome of non stop listening. The laboratory is suitable for anyone who would like to deal with a research of the emotion, body, movement and existential present. How can we improvise a show? 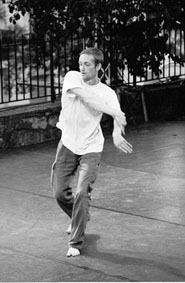 Born in Israel in 1976, Berg is a dancer and an independent choreographer. In 2003, he was awarded the first prize of the "International Serge Diaghilev Competition of Choreography Art". 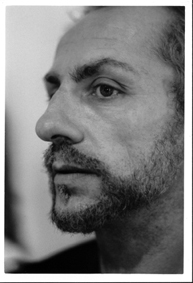 Danced in the Bat-Sheva Dance Company (1994 - 2000), and in 2000 was invited to work with Loyd Newson for the British "DV8 Physical Theater". Between 1999-2004 he choreographed different works for the "Curtain Up Festival" which were invited to perform in Europe. In 2003 created and performed his work "Optic" for the "Curtain-Up Festival 03" and later on, during 2004, at the 'Summer Jazz Festival' in Rome, Italy. Berg Has been invited to create for the Polish Dance-Theater , for the Osnabruck Opera in Germany, Muza Dance Company, Bat-Sheva Ensemble and others. Berg is the recipient of the Israeli Ministry of Culture Choreographer's and Dancer's Award for the years 2001, 2003, 2004. Dance is an universal language expressed by the body through various extra ordinary body movement. When we speak about East African dance it also signifies events. In Tanzania we have more than 125 tribes, and all the tribes have their own traditional dances and culture. The dances normaly take place in different occasions. e.g. Marriage, rituals and before and after war. Mostly when dancing we use flat feet and really bend low, some hit the ground very hard. This definately tells us that most of the East African traditional dances have big contact with the ground. I would like to explain a little about my class. 1. It will start with a warm up of the whole body because the African dances use almost all parts of the body. 2. I will give African dance movements diagonally across the floor. This will make the students get to use the movements and even make them learn phrases easily and fast. 3. I will teach dances from South Eastern and Central parts of Tanzania. Here are the explanations of the dances i expect to teach. (B) MALIVATA This dance is from South-Eastern Tanzania. It comes from a tribe callled Wamakua. It is performed during celebration for example: after a good harvest, during initiation rites and during other happy events and moments. (C) MAWINDI This dance is from central Tanzania. It is from a tribe called Wanyaturu. Its aim is to push people to work because without work there is no life. So, this dance is performed during a work process or after a big job has been done as an encouragement hence it is a work dance.
. Strengthening of the support while approaching the danced movement and its projection into space. "Gathering of the possibilities in the research of the movement and its relation to the space." Every atelier will be the opportunity to bring out the qualities and the prospects of a working team. These workshops propose at the same time a precise study of the starters of choreographical composition (organized around the choreographical work of the Company Mi-Octobre) and a more personal exploration of the different ways to improvise and to invent. Starting from precise stages, horizontal work from the floor to a standing position, listening to our sensations, restoring the notions of weight energies, reflexions of tensions, releasing and "laisser-faire". This work will be executed in small groups, one by one or two by two (partnering), in order to rediscover to intuitive qualities of the body and to develop a different approach of the danced movement. An opening toward a selfdiscovery process that would lead to the opening of a choreographical language. Музыку слушаю на этом сайте, особенно нравится 50 Cent - This Is 50.